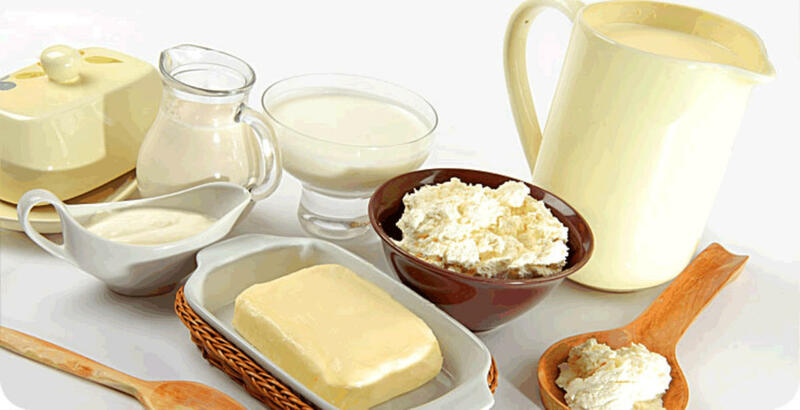 Azerbaijan should consider the possibility of setting up a joint dairy venture with Belarus, Belarus Deputy Prime Minister Mikhail Rusy said at a meeting with Niyazi Bayramov, the head of Azerbaijan’s Ganja city administration, Trend reports via BelTA. Azerbaijan is a comfortable getaway to the markets of other states, Rusy added. The parties also discussed the establishment of production of electric buses in Ganja. Currently, Belkommunmash engineering company and the Ganja Automobile Plant are engaged in this issue. Rusy noted that the cooperation with Azerbaijan in general and Ganja in particular has great prospects. "Ganja is a unique region where we can implement a number of investment projects," he said. “We have already discussed the prospects, including the issues of technology transfer, support, so that the joint venture is very strong, works with localization, which will enable to turn all our existing capacities into circulation,” said Deputy Prime Minister. The two countries are also working on a project to set up production of tractors in Turkey, he added. "I think we will get the first results in April," he noted. "It is a pretty ambitious project which suggests that cross-border, interstate cooperation of the three states is reaching a high level." The trade turnover between Azerbaijan and Belarus exceeded $400 million on 370 commodity items in the ten months of 2018. Belarusian exports to Azerbaijan increased by almost three times, while exports from Azerbaijan increased by 44 percent. Products of the machine engineering industry, petrochemistry, woodworking, pharmaceuticals, military-technical cooperation made up the main Belarusian export items to Azerbaijan. In turn, Azerbaijan mainly export to Belarus petrochemicals, vegetables, fruits and other non-oil products. Today, a legal and organizational framework has been set up that allows the implementation of joint projects. The Agreement on Investment Promotion and Mutual Protection between the Governments of Belarus and Azerbaijan came into force in 2011. It is planned to build a big pharmaceutical enterprise in Azerbaijan through Belarusian investments. A store of Belarusian goods is expected to open in Ganja, the second biggest city of Azerbaijan, while similar sale points are already operational in the capital city Baku. More than 10,000 Belarusian tractors and their specialized equipment have been assembled at Ganja automobile plant over the years. Azerbaijan’s first ever Trade House was opened in Belarusian capital Minsk on May 26, 2017, that presents Azerbaijan's domestic products.